Why do I need to get an Alien Registration Card (ARC)? – To stay in Korea for more than 90 days, all foreigners must apply for a foreign registration card at a local immigration office within 90 days from the date of entry. The ARC, or a foreigner registration card, is your ID card in Korea. You might need your ID card in many situations like buying a Wi-Fi router, getting medical insurance benefits, etc. *If you are under the age of 17, you can get an Alien Registration card on your own or simply get recorded on your parent’s card. Prepare your passport, a color photograph and go to Immigration Office. Submit the documents and pay the fee for application. Once an application has been processed, an alien registration card will be issued within 2 weeks. The card is valid for one year, after which it will need to be renewed. *The card must be returned to the immigration office when leaving the country permanently. Students of these nationalities are required to submit the medical check-up report including the examination for tuberculosis issued from a neighborhood public health center. *Additional documents are needed if you fall into any of these categories of visa. Click here for more info. It usually takes around 3 or 4 days to get your new Alien Registration Card. If your alien registration card is lost, stolen, damaged or there are any changes made on the details recorded on the card, you can reissue the card. However, you must apply for the reissuance within 14 days. *Make sure you know which area you’re living in and visit the office that covers your area of residency. *There are offices that you can visit without making an appointment and offices that require an appointment. Please contact the Immigration Center (☎1345 or +82-1345 from overseas) to check whether you have to make an appointment or not. Tips on Alien Card Registration! Just get your photo and photocopying done at the office. There is a photo booth at the office and it might be cheaper than the usual photo studios. Make sure you know the exact address of where you stay so that you visit the right office. Make sure you have the exact amount of change in cash! If you go later in the day and end up staying after closing, be aware that you might have to return the next day for fingerprinting. 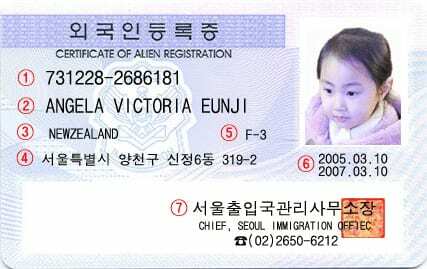 For more detailed information on Alien Registration Card and visas, we strongly recommend you to check in the official website for immigration (http://www.immigration.go.kr/HP/IMM80/imm_04/imm_0405/imm_405010.jsp) or call the Immigration Contact Center (☎1345 or +82-1345 from overseas / Operates on weekdays only: 9am-22pm KST). You will be able to receive assistance and more detailed information on your issues regarding Alien Registration Card and visas. Find this blog helpful? Follow our blog or visit Trazy.com, Korea’s #1 Travel Shop, to discover all the latest things to do in South Korea! Next Post:Survival Tip: Shopping for essential items in Korea. Can I get the Alien Registration Card with a tourist visa? I can stay for 90 days visa free as a tourists. I want the registration card to make a bank account in korea and I want to apply for residency. So is it still possible?. Can you go to immigration without an appointment and just wait till there is a free time? My appointment is 2 weeks later, but it’s a long time to wait for the ARC to get phone, internet etc connected. Ah ha. I thought I could only go to Omokgyo, because I’m staying in Gwangjin gu. I didn’t realize I could ask for other places, is that right? Thank you. I called 1345 but they said that Omokgyo requires an appointment and if I go to another office, they won’t accept my documents. Good to check it out anyway. The only thing that will make it a little faster is to go a bit earlier in the day and if lucky, your number comes up quicker than the scheduled appointment time. I need to make a bank account as quickly as possible. I am doing freelance work in Korea right now and need a place to store the money so I can send back to United States. What would you reccomend? I have a Canadian passport. Is it likely for me to arrive in Korea and obtain an alien card? Hello peter h! According to Immigration Bureau, Canadian citizens, with the status of stay such as B-2, D-1, D-6, F-1, F-3, G-1, can enter Korea without a Korean visa for a stay of up to 6 months. B-2 (Tourism/Transit) holding Canadian nationals must apply for change of their status after five months of stay and must register upon application. For more details, you may want to contact the Immigration Contact Center (+82-1345). I have some questions regarding the Alien Registration Card. Firstly, could you please tell me if there is any biometric procedure needed/mandatory for receiving this type of card? I am asking this because I saw the “fingerprinting” part and I would like to know some more details about the procedure of getting an Alien Card once we arrive at the office. Also, does this card have a chip inside(containing my details or anything else)? Additionally, is it possible for you to tell me what I will be asked to do for identification once I arrive at the airport in Korea?- as I understood the requirements are different from country to country. Additionally, what are the office hours for the Immigration Contact Center? Hello Lorelai Luli! Yes, they will need your finger prints and signature. The card does not have a chip that contain your personal information, but your name, nationality, visa type, date of issue, gender and your registration number will be shown on the card instead. Regarding your inquiry about the questioning for the screening procedure at the airport, we cannot give you a definite answer on it but the questions will probably be related to the purpose of your visit. The Immigration Contact Center operates only on weekdays from 9:00am to 22:00pm (Only Korean, English and Chinese provided after 18:00). For more detailed information on the alien registration card, we strongly advise you to contact the Immigration Contact Center (☎1345 or +82-1345 from Overseas) or check out their website (http://www.immigration.go.kr/HP/IMM80/imm_04/imm_0405/imm_405010.jsp). Hope this info helps! Hi wanna ask if after submit all the document,would we still be questioned about the reason we apply for Korea id or interview? Hi, i am holding a Singaporean passport. and its 90days exemption visa to Korea under B-1 Visa. Is it possible if i apply for the alien registration card when i arrive korea with the 90days exemption visa as i have thought of applying for d-4-1 (general trainee visa) in korea. Hello nnahsiuh! 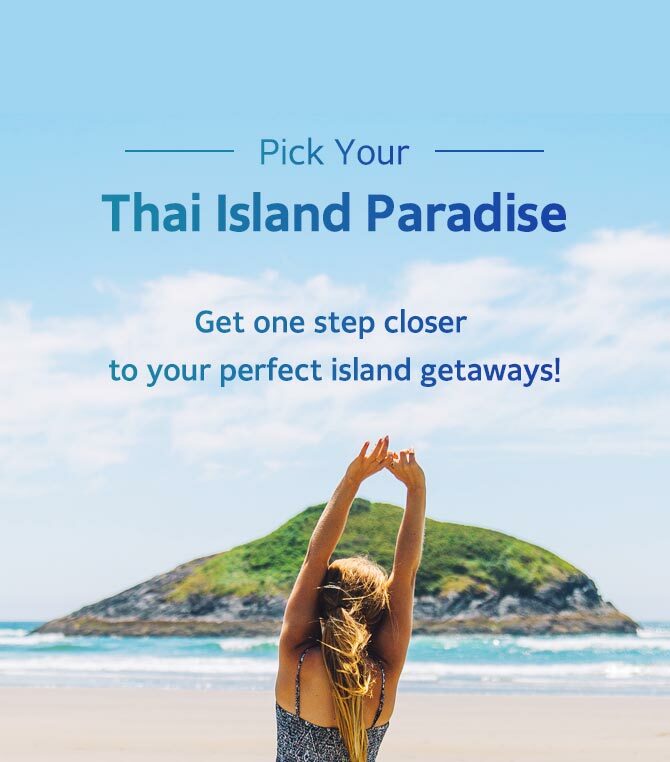 Regarding your question, we strongly advise you to contact the Immigration Contact Center (☎1345 or +82-1345 from Overseas / Operates on weekdays only: 9am-22pm KST) or check in their website (http://www.immigration.go.kr/HP/IMM80/imm_04/imm_0405/imm_405010.jsp). You will be able to receive assistance and more detailed information on your issues regarding visa and alien registration card. I’ve got following question. I’m hired in the company in UE and I’m gonna work in Seul for half a year (a simple business trip) meaning more than 90 days, so I need to get Alien Registration Card. Anyway I’m gonna still be paid by UE company. Because of having it do I need to submit any tax documents afer I have left Korea? I’ve got an Ailen Card but ended up swapping employer. How does it work to renew /reapply for a new VISA/Ailen Card? Hello Asbjørn! You should report changes of particulars of your Alien Registration card to a local or district immigration office having jurisdiction over the place of their stay, within 14 days since the changes occur. Regarding changes in your visa, we strongly recommend you to check in the official website for immigration (www.immigration.go.kr/HP/IMM80/imm_04/imm_0405/imm_405010.jsp) or call the Immigration Contact Center (1345 or +82-1345 from overseas / Operates on weekdays only: 9am-22pm KST). You will be able to receive assistance and more detailed information on your issues regarding Alien Registration Card and visas. Hope this info helps! I heard that I need also renting contract signed by the owner of accommodation about the place where I will live. Is it true? And if I will stay my friends home then which document I must to give the immigration office about my living place? Where I can get it? Hello, Anastasia! We strongly recommend you to check this website regarding the immigration related info (http://www.hikorea.go.kr/pt/main_en.pt) or call the Immigration Contact Center (1345 or +82-1345 from overseas / Operates on weekdays only: 9am-22pm KST). You will be able to receive assistance and more detailed information. Hi…I want to open a bank account in South Korea. With what I gathered, most banks need an ARC to be presented, however, I do not want to stay more than 90 days. Is it possible to get an ARC even though I have no intention of staying more than 90 days??? OR…are you aware of any banks in South Korea which do not require an ARC in order for a foreigner to open a bank account??? Hi Mathew! Regarding your question, it is difficult to make a bank account in Korea without ARC. But we strongly advise you to contact the Immigration Contact Center (☎1345 or +82-1345 from overseas / Operates on weekdays only: 9am-22pm KST) for more detailed information! i would like to know why some youg afrian who travel in south africa for tourism was reject from the seoul aeroport therefore they have valid visa? how to avoid to be reject from the aeroport by the immigration agents so i know most of them don’t speak english and their french speak are poor. Unfortunately, we do not know the specific details about the immigration process at the airport. We highly recommend you inquire the embassy in your country for further help. I intend to take the language there and i need the AC for registration , but for the first month I have to stay in a hotel i can ask for the alien card with the address of the hotel? In order to register for an alien registration card, you must have a long-term visa instead of a tourist visa. Once you have the visa, we highly recommend you to consult with the personnel at the immigration office regarding the address as you will need several documents if you are planning to stay at a hotel for a long term. Hi, Magdalena. Please inquire to Korean Immigration Office regarding the ARC. Hi, how long does it usually take at to apply at the immigration office for the ARC? I got online an appointment, but do I still need to wait for a long time and do I just hand in my doxuments, or do I still going to need to answer questions?